Good Friends are forever. There are things in life which we cannot trust to anyone but then we immediately remember that we have a special friend who we trust. These friendships are rejoicing our lives because they appreciate us as we are, and they are always around us giving us their support and companionship. 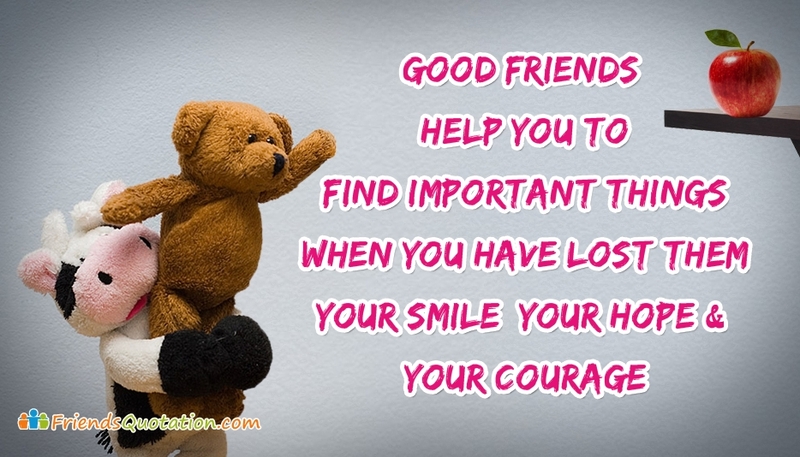 Given here is a beautiful quote on friendship "Good Friends Help You to Find Important Things When You Have Lost Them. Your Smile, Your Hope and Your Courage" which you can share with your friends. It will help you express how much you like them, and will help them remember all the experiences you have lived together.